Pittsburgh Steeler James Harrison is skipping out on his Super Bowl-winning teams RSVP to the White House. It's weird to me, because it's almost like he's trying to stand on a principle — that the president should want to see you whether you win or lose — without understanding that a personal audience with the president — by invitation, no less — is an honor most of us will never get. It's as if Harrison thinks President Obama should be making appointments to see HIM. This is the second time he's refused such as invite,and you can't help but wonder what bag this brother is tripping out of. 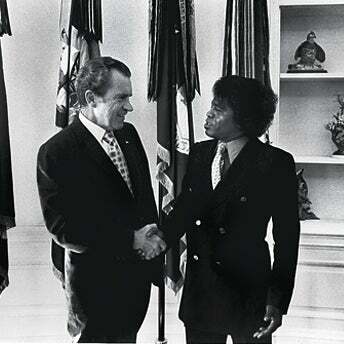 Even Eazy E had an audience with George H. Bush, and James Brown met with President Nixon. What could possibly be the logic of refusing a presidential invitation?